An action-packed and hilarious animal fantasy adventure from New York Times bestselling author and National Book Award finalist Eliot Schrefer, “this new series stunner” (Kirkus starred review) will thrill fans of Warriors and Spirit Animals. Then Mez discovers that she can enter the daylight world, and she rushes to discover what it means to cross the Veil—and the extent of her newly uncovered magical powers—before a reawakened evil threatens everything she’s ever known. 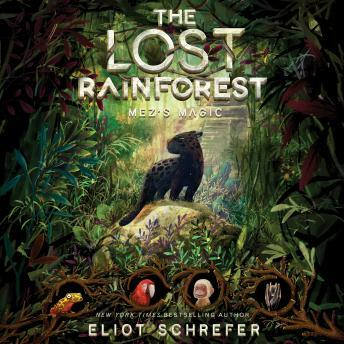 Now, with an unlikely group of animal friends—including a courageous bat, a scholarly tree frog, and an anxious monkey—Mez must unravel an ancient mystery and face her greatest fears, if they are to have any hope of saving their endangered rainforest home.